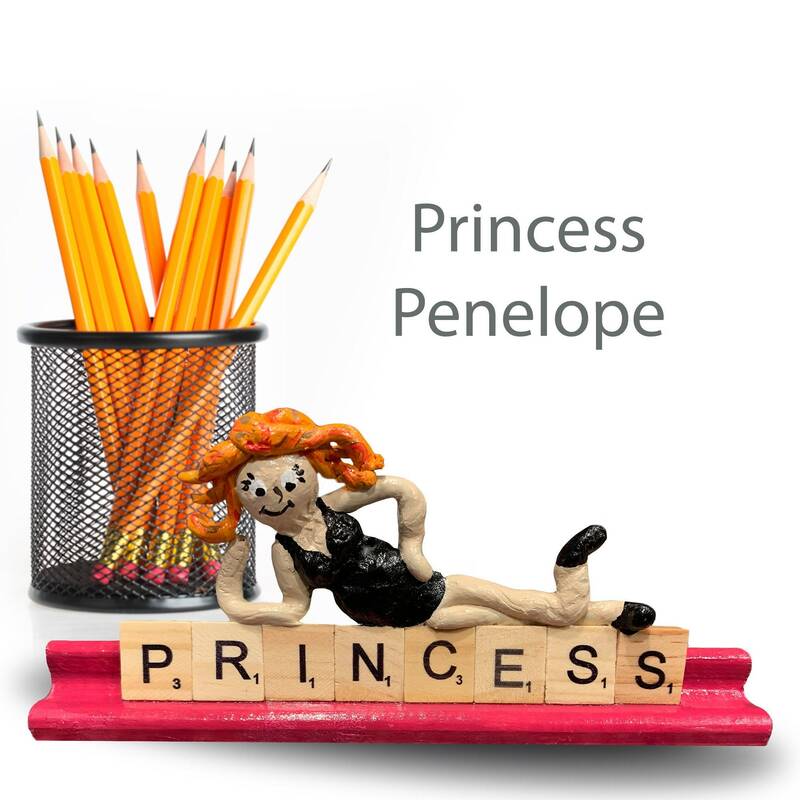 Princess Penelope is a one of a kind scrabble girl. She is up for adoption and would love to be a new member of your family. She loves to sit pretty on a desk or shelf. Will you be her new friend? 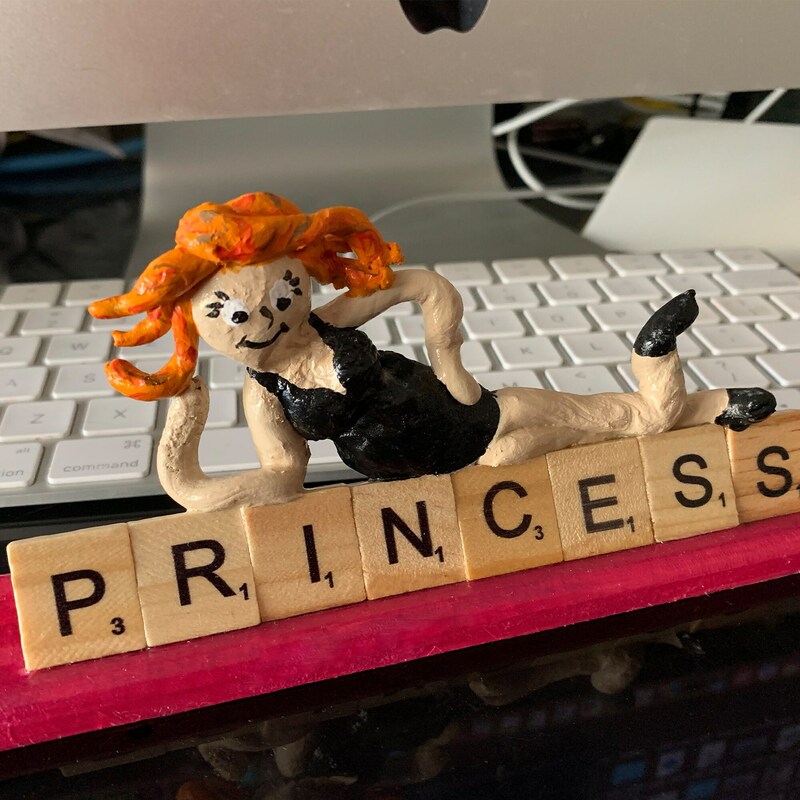 She is waiting and ready to ship.